Welcome to Spice Island Marine Services! A family-owned & operated business for over 30 years, our experienced, knowledgeable and friendly crew will ensure on time and excellent service to keep your boat looking and working great! 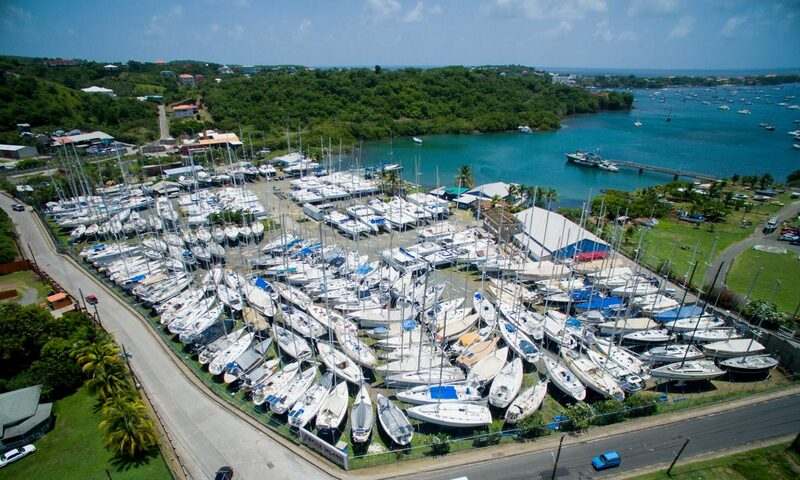 Our boatyard is located in the north-west corner of beautiful Prickly Bay on Grenada’s south coast. Conveniently located just minutes from the airport, transportation, shopping, banking, entertainment, hotels, and beaches. We even have onsite apartments for rent. Add your email address to our subscriber list to receive the latest news and updates from Spice Island Marine. Our boatyard is located in the north-west corner of beautiful Prickly Bay on Grenada’s south coast. Conveniently located just minutes from the airport, transportation, shopping, banking, entertainment, hotels, and beaches. A 70-ton Marine Travelift can accommodate boats with a beam of up to 25 feet and a length of up to 85 feet. As a full service boatyard, we can handle all repair, maintenance, and storage needs.. In addition, for your convenience and comfort we have a Budget Marine duty-free chandlery, Turbulence Sails rigging shop and sail loft, and TechNick who do metal fabrication. 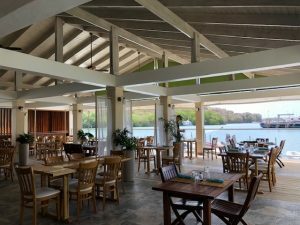 Also located on site is our newly opened restaurant Sails, and 24-hour security. Apartments, restrooms, token operated washers & driers and free WIFI access are some of the services we provide for our guests.